Tenants have a responsibility to take care of their rented home as if it were their own. Regular maintenance jobs, such as changing light bulbs, tightening screws on cupboard doors, and bleeding the radiators are easy if you know how to do them properly. With the right knowledge and tools, you can meet the obligations of your tenancy agreement, be more independent, and save contact with your landlord or letting agent for more serious and relevant matters. Approximately 85% of all the UK households use a gas central heating system. That makes hot water radiators the most important heating equipment in the whole country. And since roughly half of our fuel bill go towards heating and hot water, it’s very important for the radiators to be working properly and efficiently. Any problems with the radiators will reduce the amount of heating power while raising the total of your gas bill. If you’re radiators or central heating system don’t work properly, your landlord must arrange their repair or replacement. The law requires the property owner to accept full responsibility towards the provision of functional heating and hot water and to maintain those systems. Use our professionally drafted template letters for requesting repairs to your heating and hot water. 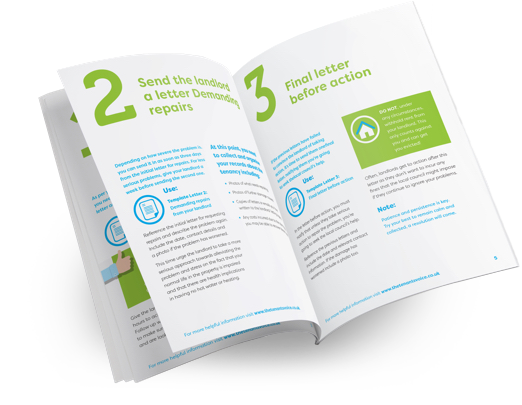 Download them in addition to our official guide on how to get your landlord to repair your heating and hot water. However, that doesn’t mean tenants are completely void of responsibilities. Renters are entrusted with the daily maintenance of the property, including the radiators and the central heating system. You must monitor if the radiators are working properly and take the according steps if they do not. Negligence can lead to loss of your deposit or expensive repair bills while unnecessary and excessive requests to your landlord or letting agent can put a strain on the relationship. One of the most common problems with the heating system is when air gets trapped in the system. Tiny air bubbles sometimes make their way inside. When you turn the heating on, as the radiator heats up, the air will travel up (as the laws of thermodynamics rule). If it is too much, it will block the upper part of the radiator and prevent water from fully circulating through the system. This will result in slower and reduced heating of the room. Even if you increase the temperature from the control unit, the radiator will likely never fully heat up, but will consume just the same energy as if it did. Luckily this problem is very easy to fix. What you need to do is bleed the radiator. It only take a few minutes and your issues will disappear. Use the following step by step guide. In order to do the job properly, ensure that all the radiators in the property are on. 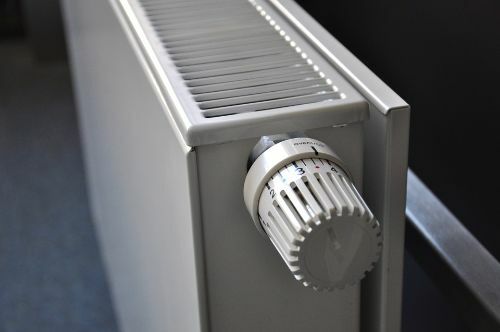 If you have radiators with individual temperature controls then check to make sure they are on at full heat and increase the thermostat temperature where necessary. This is easy – Check all the radiators in the property, but use care because those functioning properly may get very hot. A radiator that is cool at the top and warm or hot at the bottom needs bleeding. (This is because trapped gas or air rises to the highest point.) Most commonly radiators in the highest floor will need to be bled, rather than those in the bottom of the property. Turn the heating off once you have located the problem radiators. Some older radiators have a key designed for bleeding, but if you are working with more modern ones you will need a flat blade screwdriver. Locate the valve which is usually on one side of the radiator and you will see a square in the centre of it. Place the end of the screwdriver into the groove or attach your radiator key and turn it very slowly in an anticlockwise direction. There is a pressure gauge on your boiler and if this indicates low pressure, you may need to add water to the system. To top up the water, use the tap or lever that is attached to the boiler, called the “filling loop”. When you have finished, turn the heating on again. Everything should be working normally. If not, you should repeat the test and recheck all the radiators. If you do not feel confident or competent to complete the above instructions, then find someone who is or contact your landlord or letting agent. The last thing you want to do is make matters worse. If you have completed the job but your heating system is still not working, you should write a request for a repair to your landlord or letting agent outlining the problem and the steps you have taken. An email will suffice. A good landlord will appreciate your efforts to resolve the matter independently. Arrangements should be made to fix the problem within a reasonable time as it is your landlord’s legal obligation responsibility to keep the heating system in a state of good repair during your tenancy. As we stated, the air in the radiators will cause them to heat up on the bottom but remain cold on the top. You can fix the problem by bleeding the radiator. However, there are more issues that can occur with your heating system. You might observe the opposite problem – heating on the top, but not the bottom. In this case, there is likely a buildup of sludge or rust in the bottom of the radiator. This builds up stacks like a mound and prevents the proper circulation of hot water through the system. A third situation is when the radiator is cold entirely. In this case, the build-up can occur in the incoming pipe, which will prevent the water to enter the radiator all together. Another cause for this problem can be a stuck valve. Unfortunately, none of these problems can be easily fixed. You need to seek the help of a gas safe registered engineer.